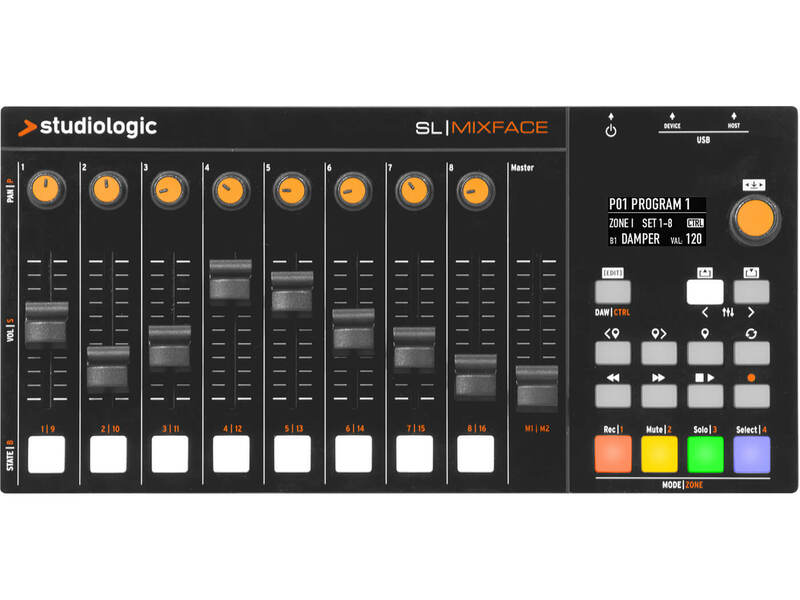 Controlling your DAW with hardware can be a tempting prospect and Studiologic’s Mixface promises advanced and seamless integration for the modern studio. Does it face up to the challenge? 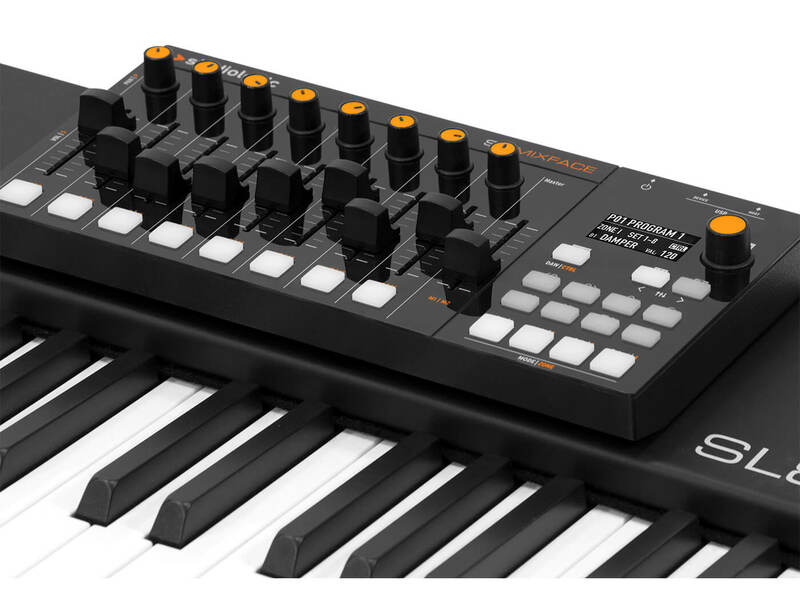 There is nothing new about MIDI hardware controllers, but seamless integration can often be a little bit of an issue, providing more barriers to workflow than enhancements. This is where Studiologic hope to tempt you toward its latest offering, with provision for control, integration and one or two other surprises. 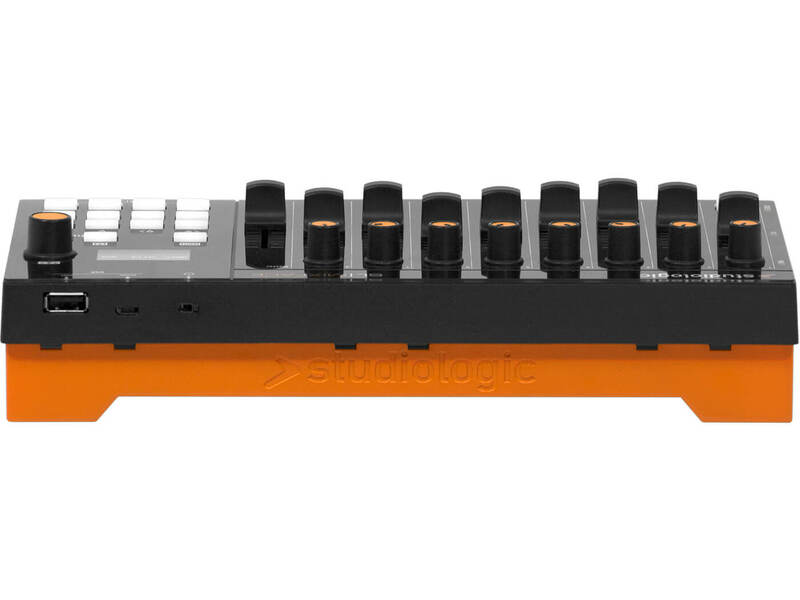 Studiologic has good form when it comes to MIDI controllers, especially in the keyboard domain. It has been manufacturing high-quality controllers and keybeds for all sorts of other companies for many years now, but this leap to a MIDI fader-styled box is a slight departure from the norm. Reaching for the controller itself, there’s a glossy feel to the plastic finish, but this immediate impression should not inform the quality of the product. It feels very well made, adorning nine long-throw faders (8+1), with eight pots above. Each fader also has a programmable press-button below, which can even be set to trigger MIDI note events. The DAW transport controls are permanently resident to the right of the Mixface, with a clear screen offering visual support for any editing. The buttons all feel solid enough and while the faders do have a very small degree of side-to-side lateral movement, they feel really solid when in use. While connectivity can be made directly into any USB-equipped computer, it’s also possible to connect via a host keyboard. This cleverly allows four-part zoning of any third-party keyboard, should that be something you need. It could be a real boon if working live, allowing the user to continue to use their favoured controller, while expanding its capability quickly and simply. It’s also possible to power the Mixface via three AAA batteries, which is perfect for Bluetooth-based use with an iPad or similar. The Mixface also offers a number of sensible and practical elements, when deciding where to place it in your working environment. A flip-out kickstand allows the Mixface to be placed at a slight angle toward the user. Studiologic has supplied an accompanying slip mat, so that if you place it on a desktop, it won’t slide around. It is also equipped with some powerful magnets on the underside, the idea being that you can locate it in a position of choice on your master keyboard, providing of course that you have the blank space to accommodate it. This is where it fits beautifully into the existing Studiologic ecosystem, as it is the perfect size to reside on the front panel of one of the SL Studio or SL Grand keyboards. I have an SL88 Grand myself and the magnet planted the Mixface perfectly in place, requiring a fair degree of effort to release the magnetic force, once in situ. Clearly, Studiologic has gone to a great deal of effort and thought here, with a placement option for everyone. My own intention is to use the Mixface for a mixture of DAW control and MIDI CC-related duties. In line with other DAW controllers, there is a requirement to let your DAW know that the Mixface is there, and once a widget has been downloaded and installed, my chosen DAW (Logic) has no issue seeing the Mixface and immediately allows for transport and volume fader control. As I find myself using a considerable number of software instruments that utilise MIDI CC control to allow for expression while playing, my first priority is to locate the editing options for each fader. The really good news is that flicking between DAW mode and MIDI Controller mode is a simple, single button press, with an illuminated button immediately offering feedback as to which mode you are in, along with a legend in the main display. Locating how to change the MIDI CC parameters takes a few minutes to figure, but once established, it’s actually a very simple task to change and save my settings. Moreover, it’s possible to save up to 99 patches, which means that you could easily setup MIDI CCs for a chosen instrument, saving your set and clearing the way for the creation of another set, for another instrument. 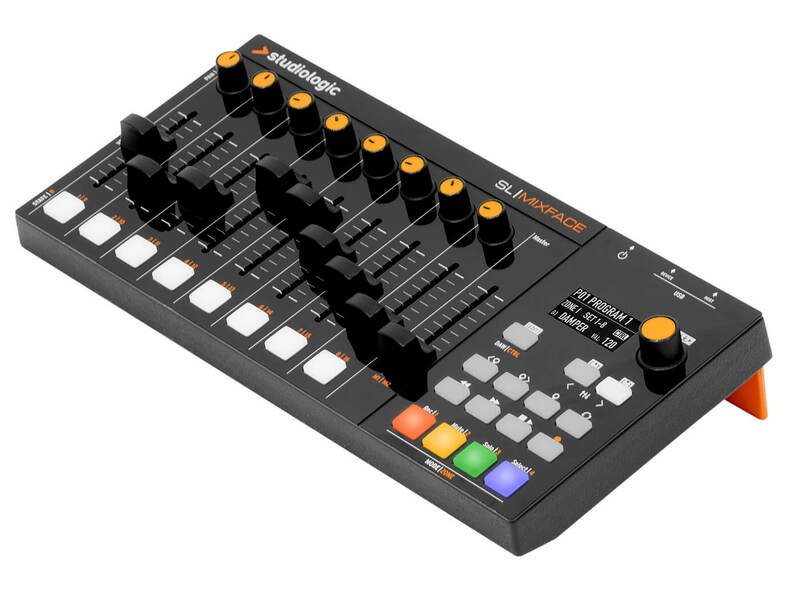 Each patch set can also allow for a considerable number of settings, with the main eight faders switchable from 1-8 or 9-16, along with the pots and buttons included on each channel. In use, the DAW transport control is always available, whether you are in DAW mode or MIDI Controller mode. All of the buttons feel assured when in use, but the real coup for me is the real-time MIDI CC control, which feels assured. These non-motorised faders do not offer the longest throw, with extension of around 50mm, but often, you don’t want lots of available travel when you’re trying to control the dynamics of your string section. It’s a very pleasant user experience and absolutely ideal for this task. I do love products like this. I went into this review wondering if it would be a good product for my own working environment, and along with being very pleasantly surprised, found myself getting excited about how else I could use it in other aspects of my music life, such as being a controller for my iPad, which it could do simultaneously and wirelessly. The previously mentioned ability to zone any third-party keyboard controller also has connotations for the way I might personally exploit key presses for the switching of samples within packages, so I can see my relationship with the Mixface developing over time, as I discover how it can be integrated into my workflow – should I somehow feel that the simultaneous DAW and MIDI control just isn’t enough. I feel that Studiologic could work on the included documentation a little bit; it felt as though I could find all the answers here, but the company’s website offers far more clues. My only other slight gripe is with the shiny plastic look. I don’t feel this gives the Mixface the full visual kudos that it deserves, so if you can overlook this aspect, you’ll be well rewarded, although it could be that this is my own personal prejudice, rather than a viable criticism. Not everyone feels that they need hardware control of their DAW. If you’re the sort of person that has used a DAW for years, via the press of a QWERTY keyboard and a mouse, you may well find that all those years of muscle memory can’t be changed overnight. However, the ability to control certain software instruments in real time to provide layers of expression and interest is a very tempting prospect, especially if you’re using packages that really take advantage of this sort of technology. The Mixface is a beautifully adaptable controller and if you find that DAW control is not what you need, I’ll bet you’ll find plenty of other possibilities for use, and having a decent bank of faders to hand can be very useful. If you already have a Studiologic keyboard, I feel you’ll want to at least give one of these a try. The Icon Platform series of controllers are a really well-put-together series of fader- and DAW-based controllers, which are made to a very high spec. While they will operate in DAW and MIDI CC mode, it’s annoyingly necessary to reboot them each time you wish to switch between modes. 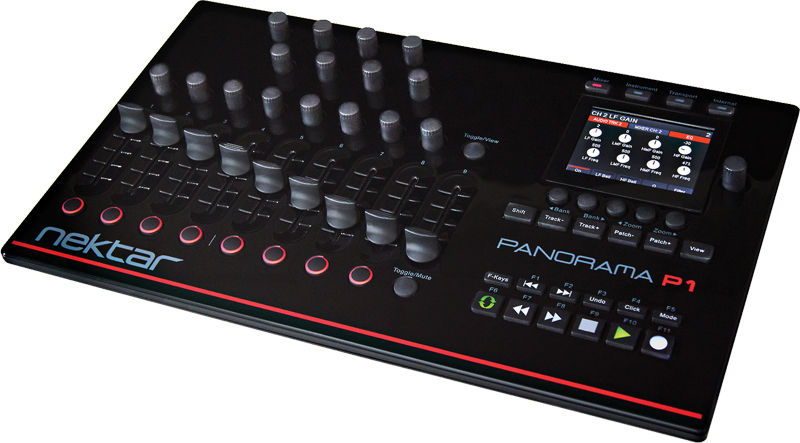 Nektar has a number of MIDI controllers, with the P1 offering very similar specification to the Mixface. It feels a little plastic-based in build quality, and can be difficult to get working properly with some DAWs, but it is effective when in use, with a beautifully clear usage display. Studiologic has come up with a great little product, which could easily enhance the user experience for many DAW users in a number of areas.